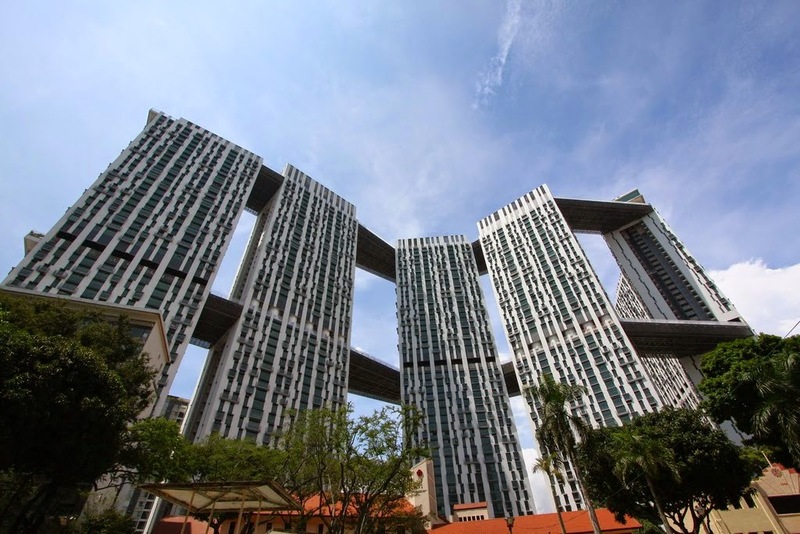 Back in the 1960’s the Singapore government took note of all the bad press against high-rise housing but then carried on building them nevertheless. They set up the Housing Development Board and embarked on a mission to house the nation with large-scale public housing development. Compared to the cramped and unhygienic living conditions in overcrowded shop houses and squatter areas, flats built by HDB were spacious and equipped with basic services such as electricity, flush toilets and piped water. Still it took an effort to overcome the resistance of people who used to live in the slums and squatters - people were reluctant to be relocated. But the effort continued: by 1976, more than 50% of the population was living in HDB flats. Now over 80% of Singapore residents live in public high-rise housing and most of the rest in private ones. Satisfaction surveys now show that the residents of HDB flats are quite happy with their situation. So, eager to learn more about socially responsible high-rise design I looked to Singapore. In general, later buildings were taller than the earlier ones. It was clear that the quality of the apartments improved More recently, apartments with sky-decks have been introduced. An example of an apartment layout adopted for public housing from each decade after the 1950’s was selected, such that the variations mentioned above were all represented. Before the HDB was the Singapore Improvement Trust under the colonial government. The Trust was building medium-rise 7-storey apartments like this one in Redhill Close.These apartments comprising two bedroom units are still in good shape, having been renovated and equipped with new lifts. The lifts here were skip stop lifts with lift-stops only floor 1 (the ground floor to Malaysians) and floor 4. The HDB was indeed quick off the blocks. Their first assignment were apartments that were built to rehouse victims of a major fire in 1961. Many of the early blocks have been demolished and rebuilt. But this one in Circuit Road is still there. The design is in many ways the same as Redhill Close, with two bedroom apartments and skip-stop lifts, except that it is taller at 10 storeys. The apartments had the "void decks " on the ground floor for communal use. From now on this was going to be feature in all HDB flats. 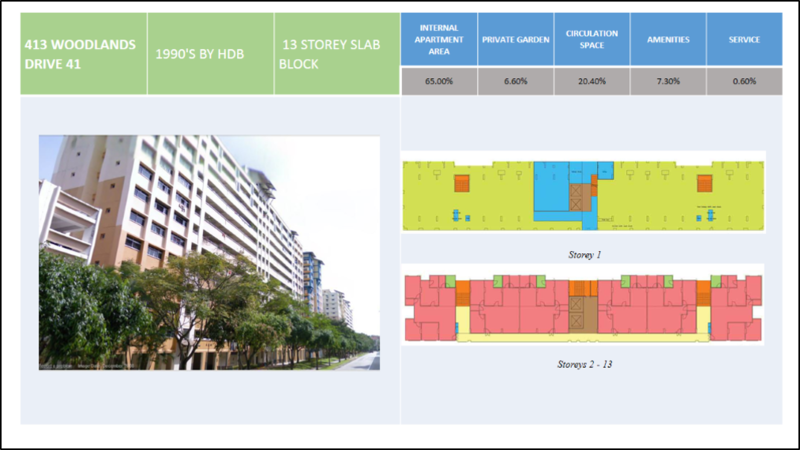 Apart from two bedroom apartments, Ang Mo Kio Avenue 3 also contained 3 bedroom apartments and some extra large 2 bedroom apartments, injecting more variety in the product mix. No more skip-stop lifts! These contained really spacious apartments with three bedrooms and a large kitchens, living and dining rooms. And only 4 units per floor.in this tower block with a cenral lift lobby layout. The remarkable thing about this flat for me is that there is only one staircase for this 25 storey buildings. Normally in Malaysia, there must be at least two.. This is in fact a very efficient layout in terms of minimizing circulation space. There are apparently hundreds of these built around the various HDB new towns. you will notice how the apartments are so much bigger than the earlier apartments in the 1970's. Singaporeans were starting to enjoy the fruits of their rapid economic development. 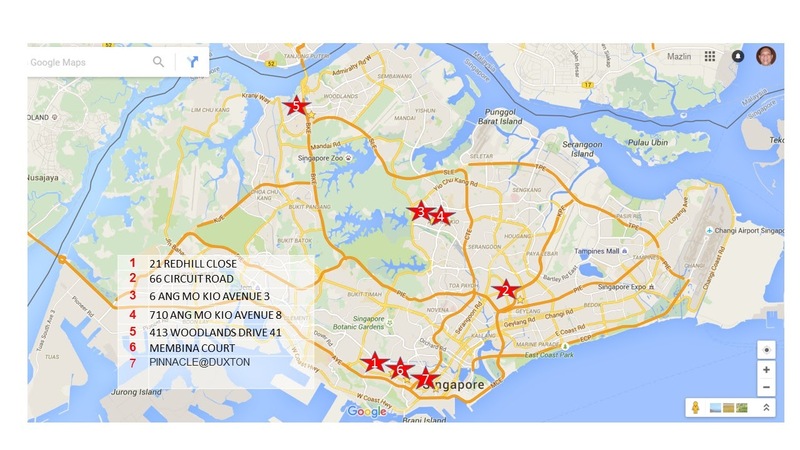 HDB was already building housing for the middle income group, not just the low. The corner units here looks have four bedrooms! 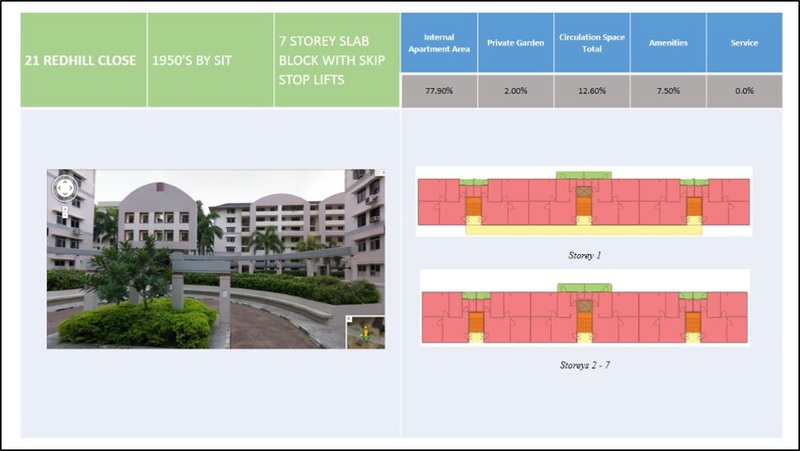 HDB started experimenting with cluster blocks. This a kind of a hybrid, combining the best features of slab blocks with tower blocks. The units here are linked in pairs and joined to the central lobby by corridors. Every unit is like a semi-detach house in the air. Having a central lobby reduced lift costs, and it seems that the corridors are not too inefficient.. 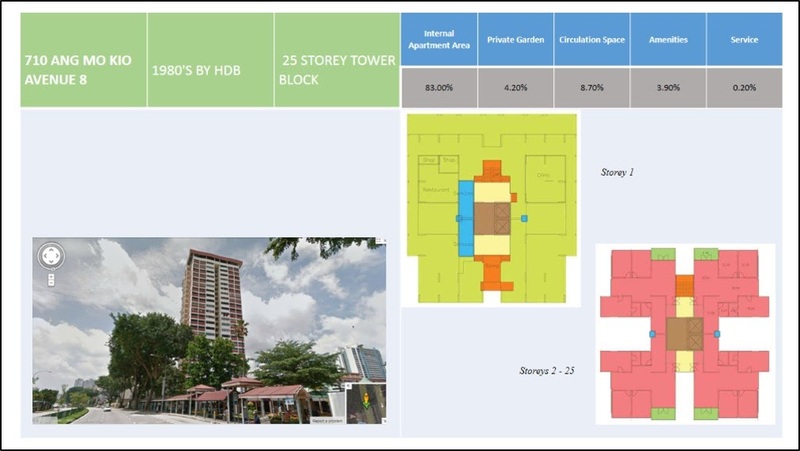 This 27-storey building plan has a high wall to floor area ratio but HDB tolerated this feature which would have made this building more expensive that the previous layouts. Singapore would have reached by now a developed nation status. The apartments look spacious and well-designed. My only quible is the quality of the void deck is much less pleasant than the void decks in all the earlier blocks. It's that at the void deck on the ground, you can look up at the airwells created by the cluster layout. It doesn't feel pleasant standing around these air wells and the void deck becomes more of a circulation space rather than a space for the community. However, in on top of the low-rise car park block adjacent to the apartments are roof-top gardens. A new trend had started. These much celebrated apartments signalled a new direction for HDB. Here was the first 50 storey high apartment. 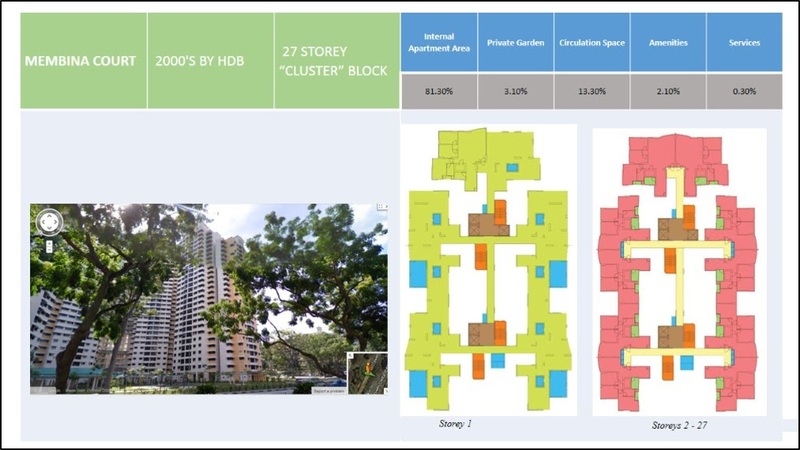 HDB organised an international competition for this project and the winning design by ARCstudio's husband and wife team of Belinda Hwang and Khoo Beng Peng who won. In addition to the void deck on the ground floor it had sky terraces on the 25th floor as well as on the rooftop, as well as sky-bridges that connected all the seven blocks. the plans above are of only one block. In the competition, the judges expressed some concern about the bridges becoming a security threat to residents. But, they also solved a major concern with tall buildings: in the event of fire in any one block residents from the higher floors can transfer to an adjoing block at mid-level rather than walk all the way down. This was a subsidized housing project and cost was a major concern. 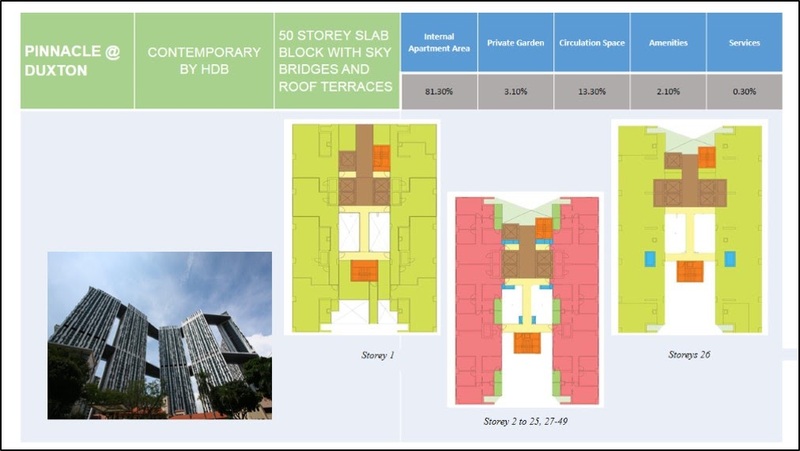 The roof and sky-terraces may appear luxurious, but when I did the area breakdown analysis I found something surprising: the percentage of amenity space, which includes the rooftop and sky terrace, is quite similar compared to the earlier buildings with void decks on the ground floor. 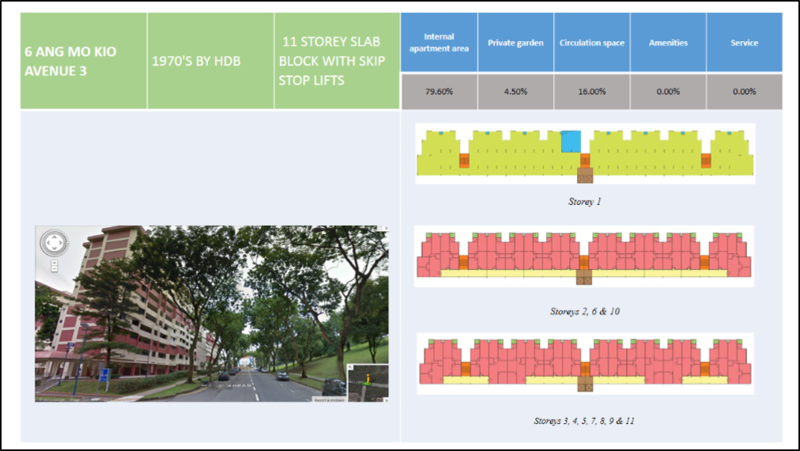 This is because the earlier buildings could have had one void deck per 12 floors. 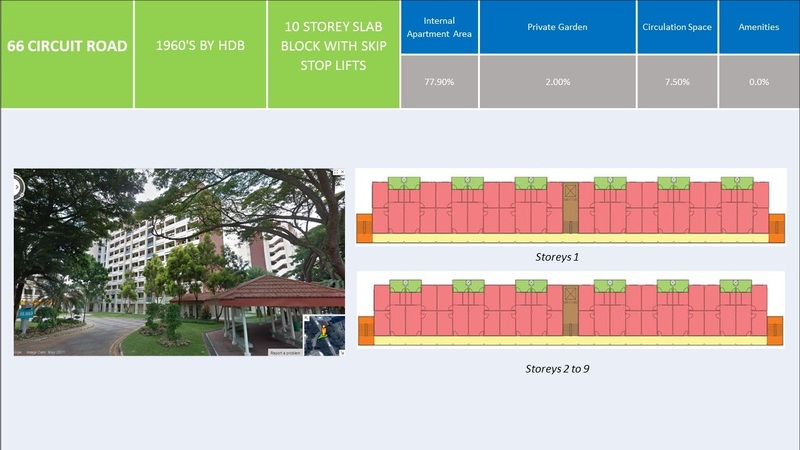 Here there are 3 “void deck floors” floors for 50 storeys,that is equivalent to about 1 per 17 floors. So, percentage wise, the amenities here were on par!